The home for an informal look at the goings-on in the Big South Conference of collegiate sports, Big South SHOUT will offer perspectives on the activities and adventures of the Conference and its member institutions. An Early Summer SHOUT (for the old year and the new)! Well, the 2010-11 year is put to rest...today is a massive cleaning day around the Big South headquarters (you have spring cleaning, we have SUMMER cleaning) as we set our sites already on the year ahead. For the Big South sports calendar, July 1st is New Year's Day...that's the start for the fiscal year and the dividing line on paper between the season past and the season to come. 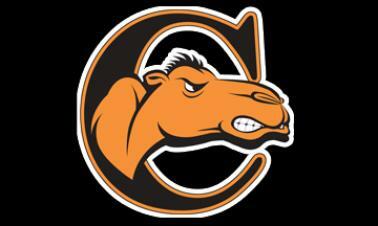 This year, it also means the arrival of the Campbell University Fighting Camels to the Conference. Well, not "arrival" really--more like "return," since CU was a founding member of the Big South and participated here from 1983-1994. 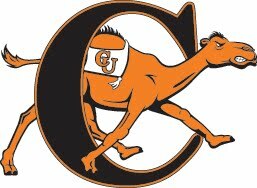 So the Camels are back: WELCOME, FRIENDS! As for the year gone, well, Liberty won the Sasser Cup after taking 7 of the 18 Big South Championships outright (MXC, WXC, MITF, WITF, MG, MOTF, SOFT). Coastal Carolina was next in terms of hardware, with another four of the BSC titles (MSOC, WG, WOTF, BASE). Count High Point in for two (WSOC, VB), and then it's one each for Winthrop (WTEN), Asheville (MBB), Gardner-Webb (WBB), and Radford (MTEN)...all of which means none this time around for VMI, CSU, or PC. The only one not mentioned was football, and since that one is based just on regular season finish and not a tournament or championship like the ones listed above, we're left with a tie there between Coastal, Liberty, and Stony Brook (CCU got the playoff bid in a tiebreaker). The last gasps in the sports year included Coastal winning the baseball tourney and grabbing a big win at the regional before falling after that, and NCAA Track & Field efforts that topped out with another National Championship for Liberty's Sam Chelanga--this time in the 5K. We've said this in other spaces already, but there really aren't words enough to describe the success of Chelanga, a multiple national champion and an All-American many times over...a shame to see him go, but he's going to keep on running to even greater achievements, I'm sure. Meanwhile, some rotating vacation time around the office includes days off for yours truly next week, but once we get into July, we're full speed ahead into the 2011-12 season on all fronts. We are looking forward to updates and improvements to all our online outlets in the year ahead...psst...already tweaked our Twitter page--go see the simple yet sleek new background. I hope everyone in the wide world of Big South Conference fans, friends, and family has a great summer--enjoy the breather while you can, because the competition will be back and just as intense as ever, if not more so, in only a couple of months...so get fired up (but pace yourself)! And on that note, thanks, everybody...and...SHOUT...out. Here we are, in the midst of the Baseball Championship tourney--full name, "The 2011 Royal Purple Big South Conference Baseball Championship Presented by Triangle Rent A Car." The event always promises a wealth of excitement and a list of storylines, but with five games completed, one stands out among the rest...keep reading, we'll get there. All the action is happening at VMI, where a number of renovations and improvements have made Gray-Minor Stadium a solid host for this event. Play follows the same model of recent seasons, with a single-elimination first night to pare the lower four seeds to two teams, and then four days of full double-elimination bracket play. This year that formula meant the elimination of the event host school in the very first game, a 3-1 win for Radford over VMI...always tough to lose the home team early, as it can have a tendency to deflate some of the crowd size and enthusiasm, but baseball attendance often poses a riddle in any year, given that school is out for most students anyway. The other elimination game on Tuesday saw Gardner-Webb parade around the bases to mount a 14-4 victory against High Point. But, baseball being a fickle game, GWU got the other end of that stick the next day, when Liberty rode some home run hitting to a 13-5 win. For the Runnin' Bulldogs, the loss forces an elimination game on Thursday, while the Flames know they'll be around at least to Friday. Like LU, Charleston Southern knows it will have at least two games ahead. CSU & Liberty will meet Thursday night, given that the Bucs dealt Winthrop a loss in a 9-3 final Wednesday. Thursday's first game is an elimination game setting Radford against GWU...each squad won Tuesday night to stay alive, but dropped a game the next day against a higher seed. Now they face off against each other to see who's going home and who lives to play another day. Radford got put in that game by top-seed Coastal Carolina. Well, they really got put there by star pitcher Anthony Meo, who tossed an absolute gem: the first no-hitter in Big South Conference Baseball Championship history. Now THAT earns a real SHOUT-out from us--what a remarkable performance (CCU celebration pictured). In fact, the no-no went both ways for the first four innings--neither side had mustered a hit by that point--but the Coastal bats awakened, while the Radford hitting could not find a solution for Meo's mastery. Credit CCU for the 5-0 win, and salute Meo for doing what no Big South pitcher had done before in this tournament. The Chants next draw old rival Winthrop Thursday afternoon, with a chance to eliminate the Eagles (although WU will be naturally doing all it can to prevent that outcome). Remember, all three games on Thursday and again on Friday can be seen on the Big South Network at BigSouthSports.com, while the game(s) for the Championship final on Saturday will be shown instead by ESPN3.com. 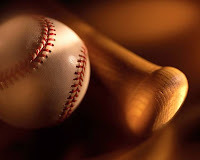 The full details of game schedules, with links to Live Stats, BSN streaming, and the tournament bracket, can all be found on the Baseball Championship page. 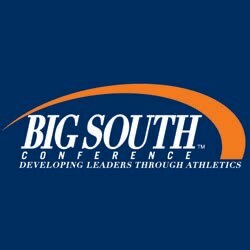 And, just in case you missed it, you can find the full listing of Big South Baseball All-Conference and season award honorees at BigSouthSports.com. Enjoy the games, everybody--another year of competition is nearly in the books! It Came From the Blog! Many demerits and well-deserved slaps on the wrists for not having a SHOUT in this spot recently...as they say in all the movies, it's been quiet--too quiet--here lately. Time to fix that with a quick reset. WGOLF -- the Coastal Carolina women were thrilled to pull down the Big South title, but it turns out that was just the beginning, as last week the Chants nabbed fourth at the NCAA East Regional at Daytona Beach, qualifying for Nationals! CCU even managed to sit in the lead position briefly in that competition, and earned plenty of respect as the first team in school and Conference history to make the final stage of competition for the Women's Golf National Championship. MGOLF -- the men's teams are no mere duffers either: Liberty won the Conference crown by a crushing margin and earned the Big South's automatic qualifier position for regional play, but the Flames will not be alone when the squads hit the links next week--Coastal Carolina snared an at-large selection as well, giving the Big South two MGOLF NCAA teams for only the third time. In an odd twist of fate, LU will travel out to Arizona, while CCU heads up to Virginia for the next round. M/W TEN -- also on the calendar, we have our men's and women's champions in tennis ready for upcoming action in Knoxville--both of them...yes, unaware of what the other selection committee was up to, both the men's and women's panels sent the Big South champs to Tennessee's courts. For Radford's men, it is as a 4-seed for those pairings, and the Highlanders will indeed draw the Vols. For Winthrop's women, it is as a 3-seed, and the Eagles will see the Vanderbilt Commodores as they hope to play another day. Meanwhile, next on the agenda: the teams still in action, trying to see if they too will have a chance at NCAA tournament play. This week, we have the softball championship at Winthrop (tonight, in fact, I will be emcee for the season awards banquet at WU). Play cranks up with six games Thursday (five at Terry Field, one on a different diamond), plus another four-to-six games on Friday (as needed), and the single-game championship final on Saturday. The Terry Field games on Thursday and Friday (5/12-13) can all be seen on the Big South Network, while Saturday's final (5/14) belongs to ESPN3.com. Two weeks later, we'll follow a similar plan for baseball at VMI, with games running on the Big South Network from Tuesday (5/24) through Friday (5/27) and capped off by the final on Saturday (5/28) on ESPN3.com. By the way, I don't know how long it's going to hold up, but Coastal Carolina has won four consecutive games without allowing a run -- in fact, the Chants have an overall streak of 37 consecutive shutout innings. While we're at it, let's give a SHOUT-out to CCU star pitcher Anthony Meo...all he did in his last outing was pitch eight shutout innings with a dozen strikeouts and no walks. Not too shabby, right? Wow. Coastal seems to be peaking at just about the right time. Whether Coach Gary Gilmore can get his guys to make another run to the Super Regional (or beyond) remains to be seen, but anyone who thought the Conway Kids were struggling this season should take another look. So let's try to clear up the postseason basketball picture for everybody, okay? Right now it appears that no Big South teams this year will be going into things like the CBI and similar ad hoc tourney set-ups, so that leaves us with the "big four": the NCAA & NIT fields for both the men and the women. Interesting that this year the regular-season champions in the Big South both came up short in the finals of their respective tournaments, so they both wind up in NIT brackets: Coastal Carolina for the men and Liberty for the women. The teams that knocked those strong squads off the top of their mountains will be going to the world of NCAA brackets: UNC Asheville for the men and Gardner-Webb for the women. Of course, in Asheville's case, it still isn't that simple because they are in the "First Round" or "First Four" group, formerly known as the "Opening Round", yet widely regarded as play-in games by hoops followers across the country despite what branding the NCAA chooses in a given year. UNC Asheville -- the Bulldogs open with Arkansas-Little Rock in Dayton, Ohio...the game is Tuesday night (tonight, as I post this), tipping at 6:40pm on tru-TV. Start looking for that before you get to 6:30, just to be sure you find it. You probably have it without realizing it, as it's part of the CBS-TBS-TNT-tru-TV partnership showing the NCAA and the powers that be WANT you to have this channel. As a DirecTV guy, I can tell you it's on channel 246, but again, consult your local listings, as they say. Now as much as we all believe in Asheville, certainly last year's Winthrop vs. Arkansas-Pine Bluff opener should serve as a sufficient cautionary tale that just because you're not playing Pitt yet, that doesn't mean you're not in for a tough game. Speaking of Pitt, that's the "reward" for the winner in that opening contest: a "Second Round" (what we've always called "First Round") game against the 1-seed Pitt Panthers in Washington, D.C., on Thursday afternoon. Win THAT one and we would have quite a story to tell! Coastal Carolina -- 2nd straight year in the NIT, certainly not what the Chants were hoping for, and the news gets tougher, as Coastal will open with 1-seed Alabama, a team that had spent lots of time on the NCAA bubble and stood a chance of making the other tourney...perhaps the disappointment will be larger for the Tide and open up a chance for CCU, who already dispatched SEC foe LSU on the road in the regular season...the game will be at 7pm Tuesday on ESPNU. If Coastal stems the Tide, next up would be the winner of the New Mexico-UTEP game (details tba). Gardner-Webb -- the third time WAS the charm for the Runnin' Bulldogs, who knocked off their nemesis, Liberty, in the Conference Final to earn the automatic NCAA berth...GWU got a 14-seed and faces Miami (the Hurricanes are a 3-seed) in Charlottesville, VA. That game is set for noon on Sunday the 20th and can be seen on ESPN2. The winner will face the winner of the Oklahoma-JMU ballgame on Tuesday the 22nd. Liberty -- an odd position for the Flames, quite used to the NCAA side of life, but now moving into the WNIT bracket...Liberty opens up at Charlotte, Wednesday night at 7pm (no TV known). Strange part of that is it seems like the committee was using part of last year's bracket--GWU opened WNIT play at Charlotte's Halton Arena in 2010...go figure. The winner of this one would advance to play the winner of the South Carolina-App.St. contest. If the Flames are not too put out by falling short of their primary goal, they could do some damage in the WNIT field--watch out for that. Hope that helps--that's about as much as we can say as of Tuesday--good luck to all our teams and we hope everybody enjoys the upcoming games! SHOUT -- out. It's a few days early by the calendar, but not by the event: it's the three-year anniversary for Big South SHOUT! The wheel keeps turning... that was my first stint streaming from the Big South Indoor Track & Field Championships--and I'm now on my fourth. Back then the event was a joint meet held along with the Southern Conference. Since then, the SoCon and Big South have gone back to staging separate events (although on consecutive days), which greatly simplifies the process--as many events as we see in a meet like this, imagine even more sessions and double the athletes. Separate events means a little more in rent for each league, but a less hectic process. And of course, I'll be handling the video streaming for it all on the Big South Network again this year. It's also the fourth year for the CCSA Swimming & Diving Championships, where I was last week...sweltering (and streaming of course) in the oppressive humidity in the otherwise very nice Gabrielsen Natatorium at the University of Georgia. Those four years have been on the move--Huntersville-NC, Athens-GA, Knoxville-TN, and back to Athens-GA. Those three-day meets can drag at times, but you can't deny the skills of the student-athletes who come out and give their all--some very impressive displays in the pool and the diving well. They come to compete from four different conferences, none of which have their own championship events: Big South, SoCon, MEAC, and the Atlantic Sun. Big South news of note from the CCSA: Gardner-Webb had an impressive dual finish, taking second for the men and third for the women (congrats), and Liberty's women finished 6th--which is an impressive performance for a first-year program, making the upper half of the field. Anyway, it's all part of the annual gauntlet of championships and travel: swimming, track, men's basketball, women's basketball (and board meetings) in consecutive weeks, after which we can fully embrace the spring sports...which have already begun. Such a busy time, but it's all part of the wheel that turns in collegiate athletics every year. So Happy Blog-iversary, SHOUT fans, here's a SHOUT-out to you! Okay, here's the deal: most often we use this space to discuss issues/perspectives/events across the Big South Conference...but every so often we verge into "shameless plug" territory. And that's pretty much where we're going today-----wait, give it a chance!!!! The Big South Online Store went up last year at admittedly sort of an awkward time for us; namely, in the middle of the baseball tournament, our calendar's final athletic event. Not ideal, no, but it allowed us to kick the tires and run some things along before the games resumed. Well, now we have run most of the way around the calendar and baseball season is near its beginning while basketball approaches its dramatic conclusion, not to mention the several other sports that are active out there right now in the Big South. So I feel it is a good time not only to say that the Big South Store has what fans are looking for, but has a greater variety of styles and items across the board than you'll find anywhere else. Yeah, I know, sounds like classic marketing hyperbole, right? I will concede that for any given school you may be able to find some close options out there if you look hard enough, but not likely all in one place (Coastal is obviously one, since they use the same vendor, so the selection is an EXACT match), but only one place has such a tremendous array of goods to pick from for ALL Big South schools, as well as the Conference itself...and you can get there via BigSouthSports.com or BigSouthStore.com. Need a Liberty Golf Bag? ...or perhaps a Big South Stadium Chair? Just examples, of course...and you can get any of those items for any of those schools, along with the classic assortment of t-shirts, sweatshirts, jackets, hats, magnets, decals, license plates, bags, pens, notebooks, golf accessories, desk items and various gift "stuff" that you're looking for. 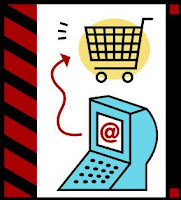 Like I said, it's a pretty good place to shop...and right now there's even a special sale on magnets and decals, with 15% off, but only for another few days after this posting. The Big South Conference thanks and salutes its partners at Advanced-Online with a big SHOUT-out for making an Online Store we could all be proud of--and we know it's just going to keep getting better! So that's it, folks. I'm unplugging the plug for now. We'll get back into the hoops talk and ramping up baseball season, etc., soon enough...but until then, go get the stuff to dress the part for your role as a Big South fan. Cool? Cool. Till next time, that's SHOUT -- out. Under the current format of the Advance Auto Parts Big South Men's Basketball Championship, used for the past few seasons, there wind up being three races at once in the Conference standings, and this year is no different. At the top, it's obviously been a two-horse race all season, although one of those thoroughbreds is clearly up a length now. Coastal Carolina and Liberty have been the top of the heap throughout league play, with the Chanticleers sporting the edge and the Flames managing to keep pace right behind. Well, last night CCU held off a late LU charge to complete the season sweep of the challenger, thereby giving the Chants a two-game lead in the standings plus a tiebreaker edge over the Flames, with just six Conference games remaining in the regular season. With the Coastal win streak now at 19 games, it's a legitimate time to ask if the run has an end, and where it will fall. Surely it could go down as soon as Saturday, with VMI running and gunning at CCU. Fail to keep up with the pace or fail to hit your shots when you have the chance, and you're in trouble against the Keydets. That said, VMI has continued its habits of scoring 90 and giving up 100--defense is largely a non-factor in those high velocity contests. But one should note the Chants haven't lost at home this season to anyone. Down the schedule, we see at PC, at Winthrop (now THAT could be interesting, given the grudge match between those rivals), vs. GWU, vs. NC Central, vs. Asheville, at CSU, and then the tournament. If Coastal CAN keep this momentum running, they could be as strong as 28-2 riding a 26 game streak when March arrives and CCU hosts championship play. Surely any team can win any night, and all this could be moot in short order, but the speculation is intriguing. If, and I mean IF, Coastal runs the table, one would have to favor them to win three home games for the Conference Championship--and then what happens in terms of NCAA seeding? The record and the win streak would be wildly impressive, the RPI given a generally weaker out-of-conference schedule would not. In any case, that's putting a number of carts before their respective horses, no doubt about it. After all, let's look at Liberty--they've beaten all Big South comers save one...LU has lost only two Conference games, both to Coastal Carolina. You have to like THEIR chances to advance in the tourney, possibly to a final against CCU. Can the same team win the head-to-head match-up three times in one season? It has happened, but it's a tall order. The Flames' faithful know they have a beautiful chance to play spoiler in much the same way that Coastal's much-hated rival Winthrop did one year ago, knocking off the regular season champs on their own floor. So the captivating race and rivalry at the top is one drama playing itself out in front of us...and with FOUR teams hosting first round games, the next race then comes into play. If you can't be numero uno, you really, really want to be in the top four. As of this writing, with Coastal at 12-0 and Liberty at 10-2, those teams pretty well have one and two locked down--because the next squads are at least three games behind second place! The middle group could be considered as large as five teams fighting for two positions: Asheville and Charleston Southern have the lead of the moment, each with 7-5 records, followed by Winthrop, lurking on the perimeter at 6-6, and you can't yet count out VMI and HPU, holders of 5-7 marks, just two games off of the pace for hosting a game. There will still be plenty of shake-ups going on within that quintet for the remaining weeks of the season. Okay, so two teams currently in the top tier, FIVE teams in the middle tier, leaving three currently in the bottom tier, yes? Now if you consider that those first two groups we discussed include seven teams, that takes up every slot but one in the tourney field, still set at eight. Of the three teams remaining, PC has the unfortunate distinction of being ineligible for postseason play due to NCAA division transition rules. The Blue Hose have been forced to be content with the role of spoiler from day one--they can't play for seeds, tournaments, or championships. So that leaves us with two teams scrapping for one spot: Gardner-Webb and Radford. It seems so hard in this light to think that Radford was the Big South Champion the season before last, falling to UNC in the NCAA's, but the Highlanders have not enjoyed much high ground this season. In fact, both RU and GWU have staggered out to 2-10 Conference records. The "winner" in this contest will have the distinction of (almost certainly) making a trip to Conway to meet Coastal Carolina...some reward...but still, "that's why they play the games," right? It's not as if the team left out gets a better draft pick--you might as well be pushing for greatness. 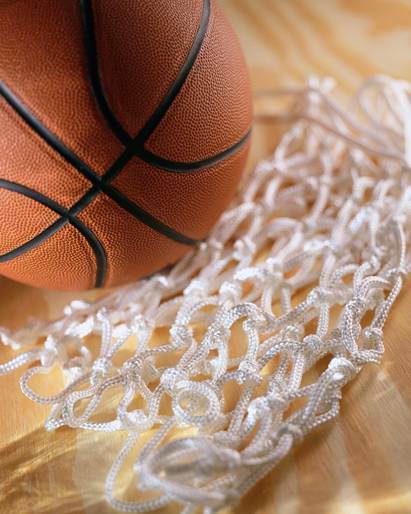 Win the right games at the right times and big things happen--the beauty of the college hoops Cinderella stories. Make sense? So as you're watching the MBB standings in the Big South, remember the three races at stake: the top one, top four, and top eight positions. If you keep those in mind, you'll start seeing more intrigue, more on the line than before--trust me. And finally, a huge SHOUT-out of support for our fans and friends facing the worst of the winter storms. Most of our region here is under merely cold rain, but beyond the borders of the Big South there are plenty of folks struggling with astonishing amounts of ice and snow--we send you our wishes for your safety and comfort through these difficult days! Enjoy the upcoming games, everybody---------SHOUT, out. Okay Big South peeps, this weekend still seems simple enough on its face: Conference match-ups for men's and women's basketball take center stage, right? Sure, but it's not that simple any more, certainly not beyond this weekend anyway. Here's the deal--Saturday has a full line-up of men's hoops, with five games tipping off throughout the day, plus a quartet of women's games also hitting the court. But January is coming to a close and February is coming in fast, so those games get the most buzz right now, but it's just the tip of an athletics iceberg that will culminate with a parade of championships in the spring. Put another way, the tennis teams are facing off against out-of-conference foes right now, while the golf teams are rolling out their tournaments, and, most notably, the indoor track and field squads are making lots of noise in various meets around the region. How much noise? Good enough for the men to make the USTFCCCA (it's the governing body, don't worry about the alphabet soup, just go with it) top ten for ALL conferences in the country! The Big South ranked eighth, coming in behind only the six large power/BCS leagues, plus the Mountain West Conference. Is that all, you ask? Well, noooo...although not under the "Big South Sports" umbrella, don't forget about the wrestling competition happening out there right now for some schools (VMI, Liberty, and GWU all wrestle...catch the VMI-Citadel competition streaming tonight on the Big South Network). Then there's the swimming and diving, which has been growing, with Liberty joining GWU, VMI, and Radford in the pool. All have been actively competing and await the CCSA Championships in February, featuring the swimming schools from four regional conferences that do not have enough participants to stage their own individual championship meets. And then there's this...baseball and softball practice. Seriously, the ball-and-bat sports will hit their respective diamonds soon, and there's a sizable and eager fan base waiting for play to begin. The preseason polls were released this last week, and it probably does not shock anyone following the sports to see that Coastal Carolina had the nod for tops in baseball and Radford the same for softball. In fact, both are getting a little national attention as well. For baseball, Coastal not only won the top spot in the coaches' vote, but did so unanimously! The Chants will start the season ranked 24th nationally, and will be watched closely to see how they follow last year's Super Regional finish. For softball, Radford will not begin ranked, but the Highlanders have votes in the national preseason polls, so they are not far off the radar. Interestingly enough, Liberty lurks just behind the leaders in both sports in the preseason count. The Flames matched CCU baseball's unanimous first-place prediction by collecting a unanimous set of second-place votes. It seems clear that the Big South's baseball skippers agree that the 2011 season begins where the 2010 season left off: with Coastal ruling the roost but Liberty burning it up right behind. It wasn't unanimous for softball, but it was nearly as decisive, as the softball coaches made the Radford-Liberty duo a clear one-two. For those already wanting to get their hands on for spring streaming packages on the Big South Network (presented by State Farm), good news: those packages will be available starting February 1st at BigSouthSports.com. Individual games will be available for order soon after that. Okay, okay, let's get back to the whole HOOPS thing! As amazing as the Coastal run has been (and it has been stellar), don't overlook the fact that the Liberty Flames have paced CCU every step of the way. The only loss for the 9-1 Flames was to Coastal Carolina, and it will be very interesting to see if that's still the case when these teams meet again: February 3rd in Conway. First, LU will have to dispatch a pesky GWU squad that has shown some resilience after a huge losing skid. Other games for the men this weekend: Asheville at VMI -- two contenders trying to sort out the seeds behind the leaders, CSU at HPU -- Panthers trying to salvage a rougher season than expected vs. Buccaneers in that contender mix, and Winthrop at PC -- Eagles fighting for position and Blue Hose trying to play perpetual spoiler. On the women's side, there are four Saturday games and four Monday games, but for the fans of recent Big South history and rivalry, there's only one game to watch for: Liberty at Gardner-Webb, Monday night (1/31, 7pm, on Big South Network). The Flames and Bulldogs are two of the three teams (along with RU) in a tight race for first, but that's just a bonus in what has become one of those rapidly intensifying rivalries...which tends to happen when you battle for the title a couple times, yeah? Conference competition at its best. By the way, speaking of championships, did you know the Advance Auto Parts Big South Conference Basketball Championships have their own official Facebook page now? It's true. You now have a perfect companion to the Big South Facebook page (covering all Conference news) with the "Advance Championship" page, updating the races in the standings and the pursuit of records, plus the promotions, contests, events, and fans of Big South basketball. Go now and "like" both pages if you haven't already! 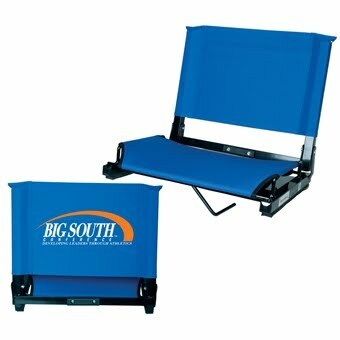 For my final shameless plug, don't forget to browse through items at the Big South Online Store. If you haven't tried it yet, you will be surprised by the variety and quality of items available for you to order for your favorite school or for the Big South Conference. It's the best across-the-board merchandise for the Big South membership that you'll find anywhere--and right now (through the weekend), they're running a 15% discount special on personalized team basketball jerseys...go--what are you waiting for? After all, I'm done. Have a good weekend, everybody...SHOUT--out. Here's your chance to stay tuned to what's happening across the Big South Conference--subscribe to Big South SHOUT and never miss a post...click here to get your SHOUT! The views and opinions expressed in posts and comments on the Big South SHOUT blog (and any linked blogs) are solely the responsibility of those making the posts and comments--they are NOT to be considered the official views and opinions of the Big South Conference or its member institutions. Like the Big South on Facebook! Hello, and welcome to our blog, "Big South SHOUT." The Big South Conference started SHOUT in 2008, and I'm proud to be your host and moderator. My name is Mark Bryant, and I am the "Coordinator of New Media" for the Big South. That means I handle matters related to our website (www.BigSouthSports.com), our video streaming, this blog, and other online outlets. Thanks for joining us--I hope you enjoy being part of our Big South Family! 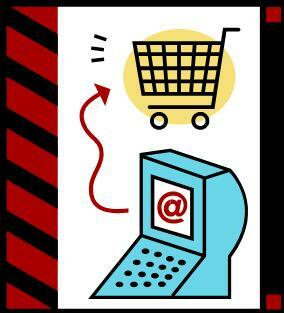 Curious about how we got started on this blog? Visit the original unreleased prototype version, Big South Sportstalk, with all our January 2008 postings at www.bigsouthsportstalk.blogspot.com and enjoy the look back at the not-so-distant past!